I think a bit of an update is needed. Since my last post about 2 weeks ago I have finished 2 more books, You Sent Me a Letter by Lucy Dawson and, Wolf in White Van by John Darnielle. Both were decent enough reads but the Lucy Dawson book probably edged it, even if I did see the big reveal coming. My birthday is coming up so I decided to treat myself to some new books but I also set myself a limit of six and I think I did quite well. I've got 2 books on the go at the moment, 1 fiction and 1 non-fiction. I picked this up at my local charity bookshop despite knowing nothing about the book or the author. The synopsis sounded interesting and being a short book (240 pages) I hoped it would be a quick read to keep my reading mojo flowing. The book starts in a bit of a messy fashion and it took me some time to be absolutely sure if we are dealing with 2 people, or 1 person with a personality disorder. I assume the book has been translated so I don't know if the issue is with the translation or with the writing style. Quite quickly I noticed the character names sounded Finnish so I decided to google the author while trying to avoid any spoilers. It turns out that the author is German and he sets his books in Finland, specifically Helsinki and Turku. This increased my expectations as I have read crime books from the Scandinavian and surrounding countries and they have all been very entertaining. Unfortunately the book was a bit of a let down. The story meanders slowly and there is almost nothing in the way of drama. There is little character development and almost no female characters except for the victims at all. By the end of the book I didn't care for any of the people involved and I still remain puzzled by some of the emotional responses of some of the characters to certain situations. The writing style is very odd in places with occasional 3 or 4 word sentences which would have fitted better in the longer sentences proceeding them. The conclusion of the book was a damp squib with one remaining loose end I would liked to have seen dealt with. In the end I have to say the book was ok. I didn't want to abandon it at any point, but at the same time, I won't be rushing out to read anything else by the author. It may be that the translator has done a bad job, or it might just be that the book just wasn't suited to me. It does getting largely positive reviews on Goodreads and Amazon so there is every possibility that I am missing something. 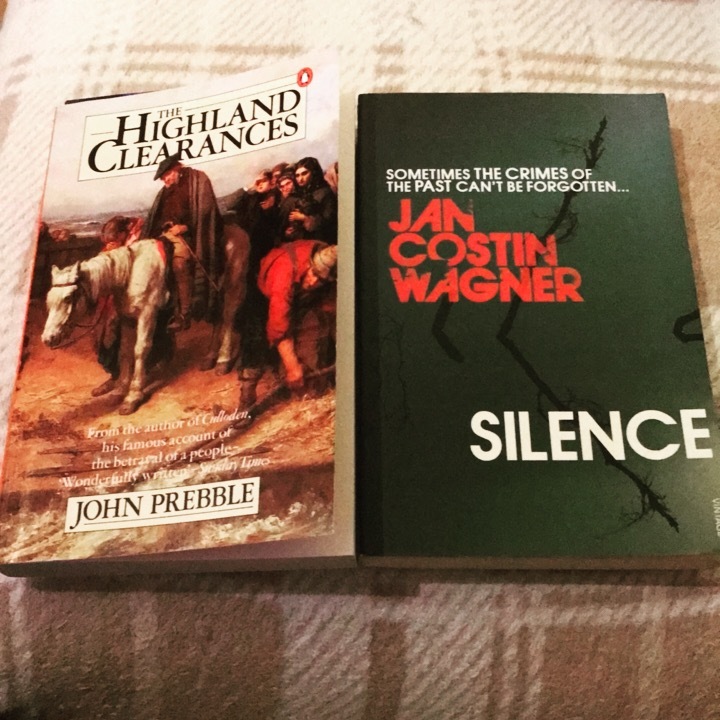 I finished reading The Highland Clearances by John Prebble a few nights ago. It's a really well written book if a little repetitive at times. I find it quite surprising that during my history lessons at school this subject was never even mentioned. I was only really aware of it due to my recent trip to Scotland and some of the castles in the Highlands. Up next for me is probably going to be Solaris by Stanislaw Lem. I've had a copy of this on my bookcase for years now and I have avoided the George Clooney movie of the same title until I read the book so it's about time I did. The Highland Clearances were never touched on when I was at school either, in fact the first I ever heard of it was when I watched David Tennant's Who do you think you are! I got given some Waterstones vouchers for my birthday. So along with my rewards points and a full stamp card I managed to get quite a haul. I've had a good week and finished 3 books which hasn't happened in a long time. The books were Solaris by Stanislaw Lem, The Rookie by Stephen Moss, and The Nazi Hunters by Damien Lewis. No proper reviews but here are a few thoughts. Solaris - This appears on the '1001 books' list and is widely considered a Sci-Fi classic. I've had a copy kicking around for years as despite being a short book never felt really inclined to start it. There were some parts of it I really enjoyed and other parts which felt quite rambling to me. Overall I felt the book was OK but just didn't really do it for me. I watched the Steven Soderbergh when I had finished the book and had similar emotions about that as well. 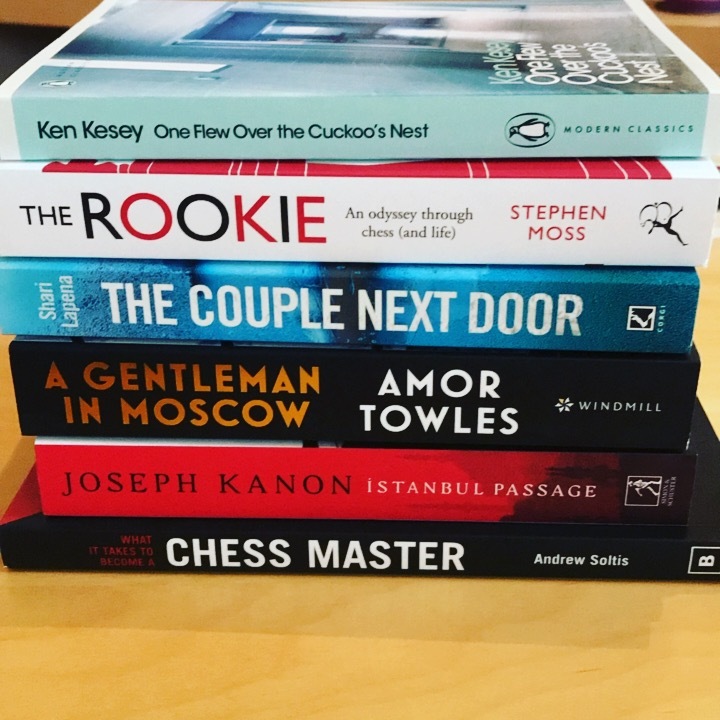 The Rookie - This is a non-fiction book about chess. The author played chess for most of his life and decides that in his 50's he want to see if he can become an expert (whatever that mean, he isn't sure himself). He is a capable club player but starts playing tournaments and has a coach to help guide him along the way. I really enjoyed this book as I like chess and recognise some of the struggle he faces. As a generally terrible player I found it heartening to read about how hard it is to improve even small amounts especially when you get to a decent level. The book takes a bit of a philosophical look at chess and contains the thoughts of quite a few Grandmasters, a lot who agree that to become a GM you need a level of obsession which borders on insanity. The Nazi Hunters - Another non-fiction book, this time about an SAS troop who operated behind enemy lines in France during the second world war. The area was occupied by the Nazi's who committed atrocities and war crimes against both captured soldiers and the local civilians alike. After the war had ended a few of the SAS troopers who had survived the war went about collecting evidence and capturing those responsible for these crimes. I really enjoyed this book, it is extremely well researched and written and I read it over the course of a day. I finished The Accident on the A35 last night just before going to sleep. I will put my hands up and admit that I bought this completely unaware of anything about it. I actually assumed that the A35 in question was the UK road along the south coast when in fact it is in France. I thought the book was delightful and I really enjoyed reading it. The plot isn't that strong but the characters are all well built up over the course of the book. I really liked the details about the odd traits the characters had which we all do, such as walking the wrong way down a road for a while instead of turning around straight away for fear of embarrassment. Unlike a lot of books, the foreword and afterword are important to read and form part of a bigger picture. Had a quiet day at work so I managed to read Funeral in Berlin by Len Deighton in one day. I really enjoyed it and made me realise that I need to get through more of his stuff. 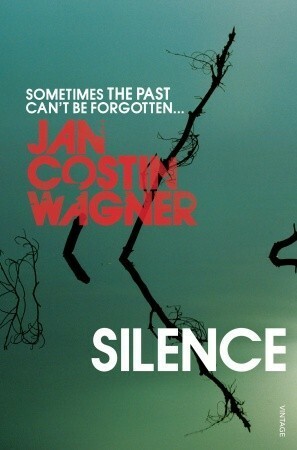 This book was just about perfect for me personally as its set in the cold war, has spies, and is set mainly in Berlin. Had another quiet day on Friday so read Its So Easy (and Other Lies) by Guns N' Roses bass player Duff McKagan. I'm not a huge GnR fan, I like the music from their peak and own the albums but that's about it. I knew some of the back story going into the book and the battles they have had with addiction issues. What I did not expect is that amount of musicians in that scene who McKagan knew, who would die from drugs overdose or suicide. I have always thought that Axl Rose was an idiot and although McKagan defends his friend is clear to me that even he had had enough of his behaviour in the end. I had hoped to get some more reading done over the weekend but the chaos caused at work because of the snow meant this wasn't possible. Another 2 books finished in the last week. Icebreaker by John Gardner - This is the first James Bond book not written by Ian Fleming that I have read. I thought it was ok and the story pretty solid but there were too many double crosses for me. I would happily read another book when I see one available for cheap at the charity bookshop. Get Shorty by Elmore Leonard - I've not see the movie but I know it's meant to be funny so I thought I would give the book a go. I thought it was decent enough with some quite funny parts. I have nothing more to add than that really, it was ok but didn't rock my world. I have just finished Unleashing Demons by Craig Oliver, the inside story of brexit. Oliver was the PM's director of communication and also served the same role for the 'Stronger In' campaign. This book is as described, the story from inside the campaign for Remain. The book makes a painful read as rarely a day goes by where I don't feel sad about the outcome of the referendum. It is very well written but Oliver seems to lay blame for the outcome of the vote at the feet of everyone except himself, Stronger In, and David Cameron. Once I had finished the book I got the overwhelming feeling that if people who claim to have the good of the country as their number one priority were less focused on protecting themselves that the result would have been very different. My final 2 books of 2017 have been completed which brings me to 38 for the year. I have also decided to have an ongoing thread instead of a new one each year as I didn't update this thread that often. I bought this book as I needed another book to complete a deal at Waterstones. This really isn't the kind of thing I would normally go for but I decided to broaden my horizons and try something different. By the time I finished the book I would say I enjoyed it but it didn't really move me. It is very interesting reading reviews afterwards to see how different people reacted to the two main characters. I found myself feeling far more sympathetic towards Tom rather than Izzy who I thought was very unreasonable. I imagine having children would affect how someone would react the story. The is the third book in the detective Goodhew series. So far I found the series entertaining if a bit formulaic and it is nice to read about Cambridge, an area I know. For me the book swung between pretty good and slightly incoherent. There was one too many ex-girlfriends for my liking and it got a bit tricky to keep track of all of them. When I had finished I read that this book was actually written first and I think that is reflected in the quality of the writing. The editing could have been a bit tighter but it was entertaining all the same. I have finished my first book of 2018, Verdun by William F. Buckingham. The book was a huge letdown for me and I only finished it as I was able to read it pretty quickly. A lot of the book seemed to be statistic based stating that a certain unit lost x amount of people at a battle on x day. The good parts were when the author decided to flesh out stuff with some anecdotes from people's personal diaries. Another thing that also really let it down was the fact that it is almost entirely written from the point of view of the French troops. It would have been much better served if it was equally split between both groups of combatants. Happy New Year Brian. Sorry your first read was a let down! I read a reasonable amount of non fiction history but tend to stay away from battles -for fearing this exact thing, lists of statistics rather than 'human' experiences. I put human in inverted commas because battles are inhuman experiences IMO. Thanks Alexi. It will make me wary of book on individual battles in future although I do have a book about Arnhem on my bookcase that I will read this year. Two more books finished this week, Dirty Work by Gabriel Weston and The Undoing Project by Michael Lewis. I picked up Dirty Work at my local library because the back cover blurb sounded interesting. The book ended up being very different to what I had expected but it was an OK read none the less. I picked up The Undoing Project over Christmas and decided to read it as part of the readathon over the weekend. I really like Michael Lewis and have read all his previous book and this one was as good as those. It focuses on human behaviour tied in with economic logic and is fascinating. Lewis has a very good knack of explaining complex subjects in a simple way without making it feel like you are being talked down to. I'm making my way through War and Peace at the pace of a chapter or two a day with the intention to have it finished by the end of the year at the latest. I also started to read The Fifth Woman by Henning Mankell which I really like so far. It will be a sad day when I get to the end of the Wallander books. The Fifth Woman by Henning Mankell. I really enjoyed this book and with each Wallander book I read, the more and more I like the character. As soon as I had finished it I went and bought the next two in the series. Gurkha by Kailash Limbu. An account of a group of Gurkhas in Afghanistan serving for the British army. The book was pretty well written but the battles they were involved in have been covered at length in other, better books. The big redeeming part of this book however is the back story of where Kailash Limbu came from and what he and others have to go through to join the Gurkhas. You can really feel the brotherhood they feel for each other and what it means to them to be a Gurkha. The book ends with a nice round-up of where the people involved are now. The Bat by Jo Nesbo. I really like Nesbo and read this as I am a bit of a completist but to be honest its not his best work. I thought it was ok but the later books are far better written and the characer of Harry Hole is far more rounded and fleshed out. Some the decisions taken by some of the other characters are very strange to say the least. I also started Fellside by M.R. Carey but abandonded it after 60 pages as it just wasn't doing anything for me. I may come back to it in the future as it generally gets really good reviews. I am also still reading War & Peace by Leo Tolstoy. I am 20 chapters in, so ahead of my chapter a day target. So far I like it but I am finding it a little tricky following who all the characters are. I have found having a simple family tree I found online helps with this though. Happy Reading in 2018, Brian . I recommend the Len Deighton trilogies ( game, set and match, etc ), I think they're my favourite spy thrillers. Thanks Little Pixie. I have read both Game and Set so far and enjoyed them both so I will get round to Match soon and then after that some of Deighton's other work. 2 more books read this week despite having spent a chunk of the week traveling. Istanbul Passage by Joseph Kanon. I picked this up as I love spy thrillers, especially those set during the cold war. This was a little different as it isn't set in the usual places and it actually comes right at the start of the cold war. I really enjoyed the book and although I struggled to put it down it isn't what I would call a quick read. There is a lot detail and the writing is definitely more plot rather than character focused. I think I have another one of Kanon's books on my shelves somewhere and I will now bump it up my TBR after reading this. The Girl in the Spider's Web by David Lagercrantz. I approached this book with a high level of reservation as I loved the Millennium Trilogy and I'm not sure I feel comfortable about the story continuing with another writer. I know that there have been a lot of legal wranglings surrounding the surviving Larsson work and that doesn't help as Lagercrantz has started with a blank slate instead of using the existing notes. In the end I gave the book 3/5 on goodreads but it's probably more 2.5. I found the first 100 pages a bit of a slog but after that the book was more enjoyable. My main bugbear with the book is the way Salander is portrayed. She felt far more one dimensional and I didn't feel her character was expanded in any tangible way. We all know she is a great hacker but in this book she is now a math whizz and has the fighting skills of someone super-human and I didn't like that aspect at all. She is also portrayed as being extremely distant with Mikael which just didn't sit right with me given what they have already been through. I didn't like the way Camilla was able to seduce anyone by basically just looking at them it just stretched the realm of possibility too far for me. It's not a bad book and I did enjoy it overall. Lagercrantz can definitely write and the book is tighter that Larsson's books but the characters are not used in a strong enough way in my opinion. Its been a good week for me with regards to reading. I've had quite a bit of free time at work and also picked up a few novellas at my local library for the coming weeks. Quantum Theory Cannot Hurt You by Marcus Chown. This book picks out some of the fundamental discoveries in quantum theory and sets out to explain them in an accessible way. Overall it succeeds in this aim even if I did find myself having to read some of the sentences several times to get them straight in my mind. Quantum physics is fascinating but extremely hard to get across and this is an admirable attempt to do so. A Little Lumpen Novella by Roberto Bolano. A short book about a pair of teenagers who are orphaned and drift into a life of petty crime and plots to make money. I like Bolano's writing but have failed to get through 2666 on two occasions so I have decided to read some of his shorter work first. The book was ok but nothing outstanding. One Flew Over the Cuckoo's Nest by Ken Kesey. I will admit that I almost gave up on this book in the early stages as I just couldn't get into it. Fortunately I didn't have another book with me at work so I decided to stick with it and ended up really enjoying it. It differs from the movie and for the better in my opinion. I normally don't like introductions but the one in this book is a worthwhile addition. I popped into town yesterday to drop some books off at the charity bookshop only to find out that it's been closed due to a lease change. We now only have one charity bookshop in town which is extremely small and has a limited selection. I'm quite disappointed by this as I used it all the time and they had a great selection. This now means that I will have to try and find another charity bookshop even if it means driving to another town. I finished Hitman by Bret Hart which is his biography about his time growing up and as a professional wrestler. I have to say that the book was fantastic and really well written. I couldn't put it down and as a result spent all of Sunday with it. I have now moved on to the next in the Wallander series (for me), One Step Behind. Oh crap, I'm really sorry to hear that I hope something else comes up soon! Happy reading in 2018, Brian! That's such a shame, I'm sorry for you . I hope you find something else soon!